Months ago I gave a sneak peek of a custom designed ketubah. Now it's finally time to reveal it! 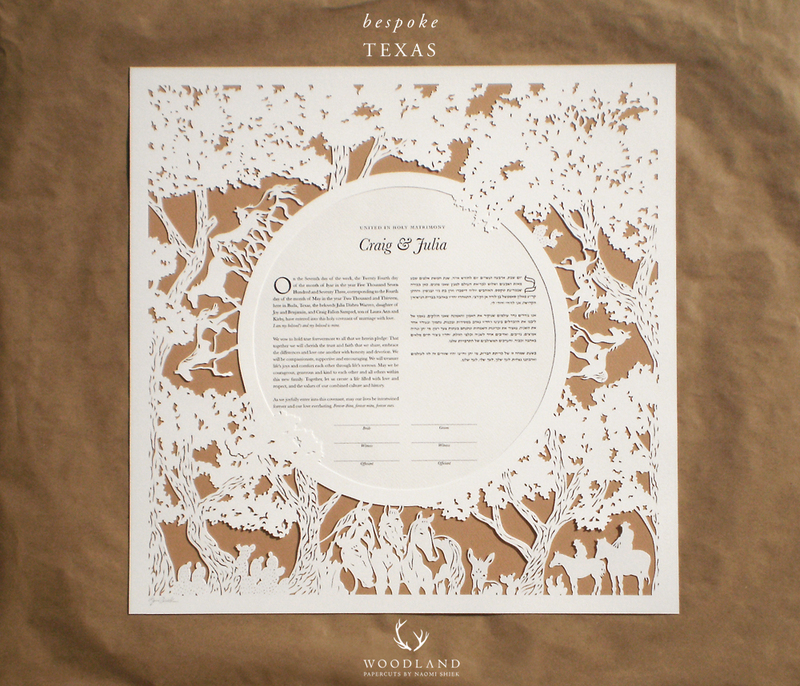 Horses and cowboys - this 18X18 inches big ketubah was commissioned by a Texan couple. It got really enthusiastic feedback from guests while it was on my work desk - you definitely can't be indifferent when faced with horsies!